If you've got extra picture frames hanging out un-hung in your closets or storage space, check out these creative ways to repurpose frames as objects of unexpected usefulness around the home. It’s a fact of life: Everyone has at least one old or unused picture frame. Some folks have dozens laying around. Whether they were gifts or impulse buys, you’re stuck with them, so consider these creative ways to repurpose frames into objects you might actually use from day to day. 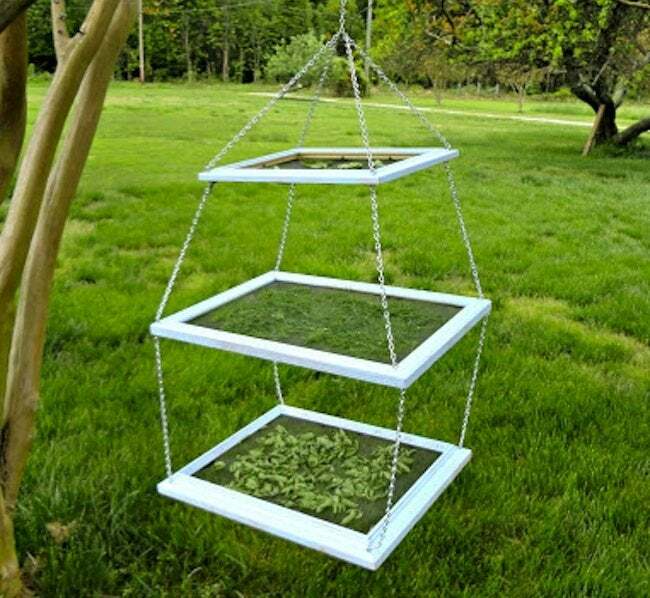 The “brown thumbs” among us will appreciate this: One great way to repurpose frames is to use them for a terrarium. 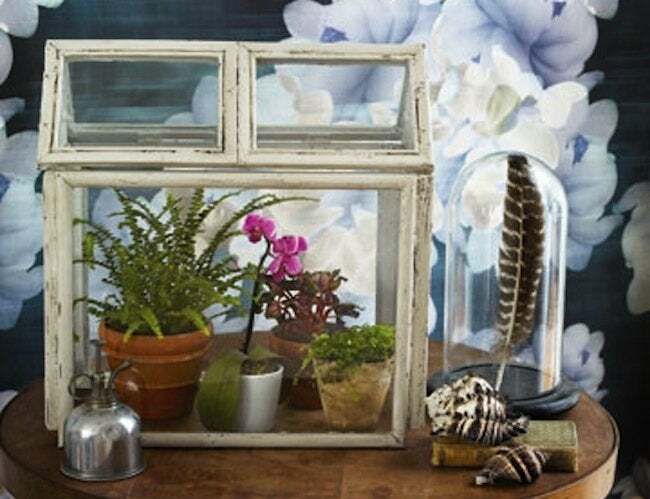 Choose frames that come with a glass pane, place hothouse plants inside, then set your creation any place in the home that gets enough sun. Brilliant! A testament to the notion that creativity thrives within constraints, the picture-frame-as-cork-board is a favorite among DIYers. Simply set a cut-to-size cork board—or a chalkboard, mirror, or dry-erase board—into the middle of an empty frame. Step-by-step guides abound; here’s a good one. Moldings can be expensive, time consuming, and for the novice woodworker, quite challenging to install. If you’re looking for a non-permanent method of getting the look, why not try to repurpose frames as a wall treatment? 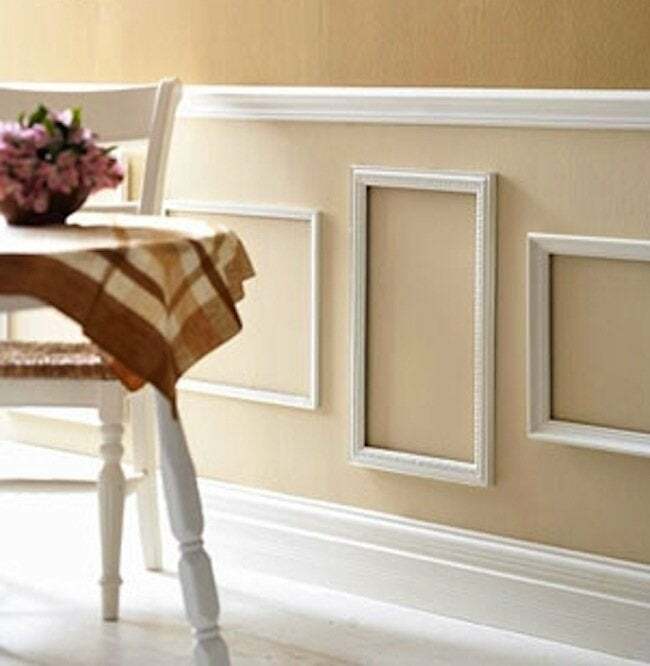 Consider it a literal take on traditional picture frame molding. It may sound a little “old world”, but if you’re already growing your own herbs, drying them for future use is the next logical step. Using only a drill and some inexpensive chain, you can repurpose frames into a tiered herb-drying rack. For best results, hang the assembly in a space that is dark, warm, and dry. From Vintage Revivals, this project features a white-painted frame ingeniously repurposed as the headboard for a single bed. If you have a queen or even a king-size mattress, use the same approach but with a larger frame. 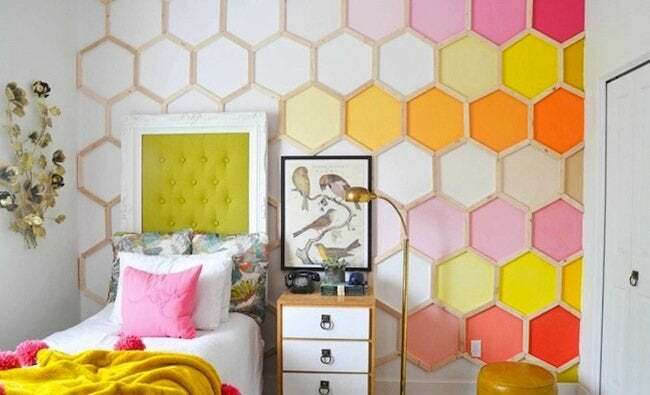 Alternatively, you can bring together several frames to achieve a tiled effect.